Pop an Aspirin, Protect Your Liver? A truly customizable education may soon become a reality. 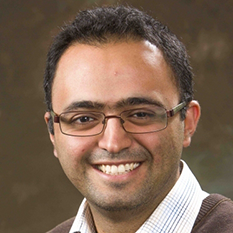 Dr. Amin Karbasi, assistant professor of Electrical Engineering and Computer Science, recently received the prestigious Young Faculty Award from the Defense Advanced Research Projects Agency (DARPA), a branch of the Department of Defense. The award recognizes his project, “Efficient Learning of Human Intent from Observations.” Karbasi developed a computer program that teaches individuals to differentiate between three different kinds of woodpeckers. Dr. Amin Karbasi is an assistant professor of Electrical Engineering and Computer Science at Yale. His research on customizable education was recently awarded by DARPA. This new program is unique in its teaching style—while most online training programs teach to one specific level, Karbasi’s program is personalized to the student. His program automatically monitors the student’s progress and then adjusts its teaching approach to fit the student’s needs, capabilities, and learning style, enabling each student to be taught in the most efficient way possible. Based on previous responses, the machine tries to understand why the student is making mistakes and adjusts its approach accordingly. It customizes new examples and then monitors the student’s progress. Professor Karbasi would like to extend his research project beyond teaching users to distinguish between types of woodpeckers. He explains that the importance of the program lies in its crafting of human-machine interactions. DARPA intends to use this method to train people to understand human behavioral cues. This requires the machine learning system to learn about human behavior and understand different cues for use in teaching. Using Karbasi’s promising research, DARPA aims to develop programs to more efficiently train people with different learning styles.